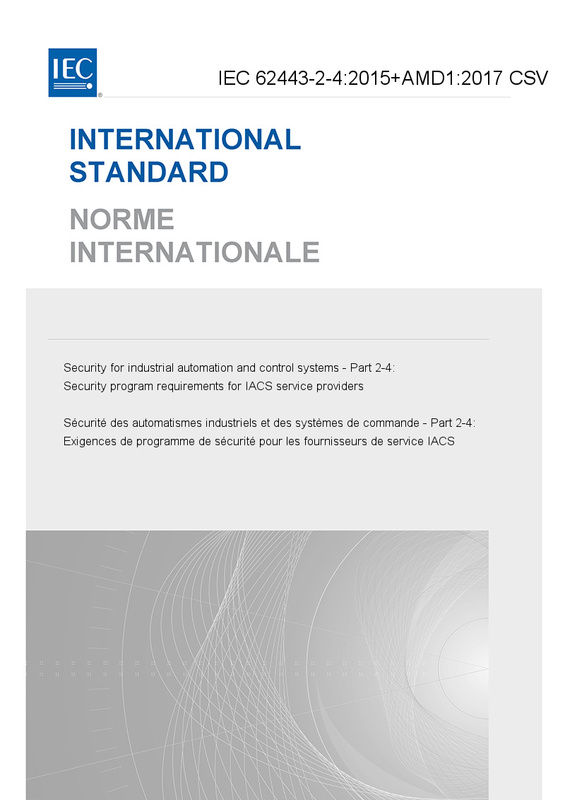 IEC 62443-2-4:2015+A1:2017 specifies requirements for security capabilities for IACS service providers that they can offer to the asset owner during integration and maintenance activities of an Automation Solution. The contents of the corrigendum of August 2015 have been included in this copy. This consolidated version consists of the first edition (2015) and its amendment 1 (2017). Therefore, no need to order amendment in addition to this publication.